The State of North Carolina is well poised to play a central role in the area of regenerative medicine. 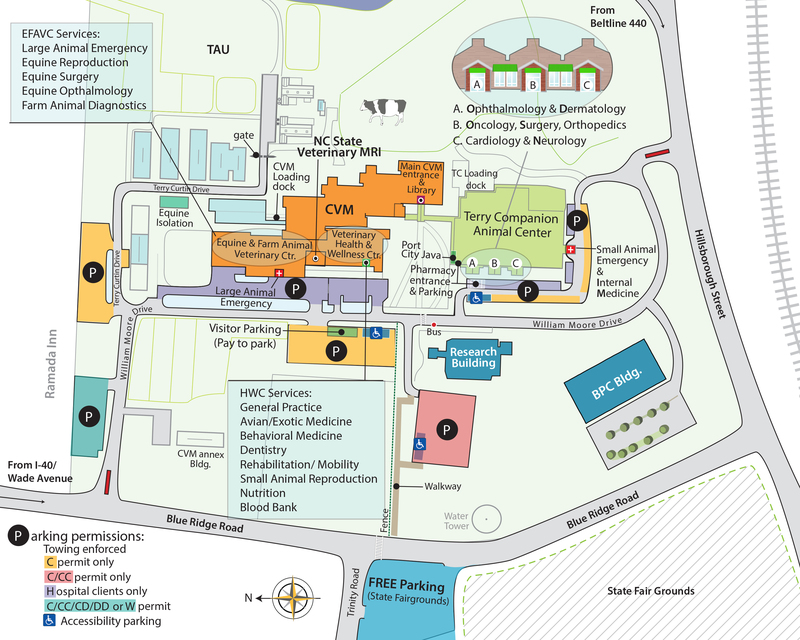 Key medical institutions including UNC, Duke, and Wake Forest, coupled with the NC State University’s unique expertise in engineering and veterinary medicine, and the existence of collaborative networks such as the NC State Center for Comparative Medicine and Translational Research, NC TraCS, and the North Carolina Biotechnology Center create a fertile environment for success. The use of stem cells in regenerative medicine has the potential to transform the way a variety of disorders in both humans and animals are treated. But, like other technologies and approaches, it must cross that inevitable bridge between the bench and the clinic. For that to occur, it is imperative that clinical and basic scientists work together to achieve the full potential of this exciting technology. This includes the development of appropriate animal models to assist in the translational aspects of stem cell research. With that in mind, the Center for Comparative Medicine and Translational Research sponsored the “Stem Cells and Regenerative Medicine Symposium” on Dec. 3, 2010 to bring together scientists with varied expertise in a host of different mammalian species to share their experiences and their needs. A symposium goal: develop new collaborations that can help speed the development of clinical applications of stem cells in both humans and animals. More than 20 poster sessions were presented and formal discussion included the use of stem cells/regenerative medicine in soft tissue surgery; hematological disorders; management of arthritis, fractures, and ligament damage; and spinal cord injuries and disease. Presenters included Drs. Kyle Mathews, Steve Suter, Simon Roe, and Natasha Olby from the NC State University College of Veterinary Medicine, Dr. Susan Henning from the University of North Carolina, Dr. Tanya Wyatt of the University of California, Irvine, and Dr. Anthony Atala of Wake Forest University. Degeneration of the intervertebral disc (IVD) is associated with decreased cellularity and loss of extracellular matrix components. Therapeutic intervention of IVD repair using adult adipose-derived mesenchymal stem cells (AD-MSC) is being investigated due to their ease of harvest and abundance from humans, and their ability to differentiate to disc cell phenotype using appropriate stimuli. The purpose of this IRB- approved study was to determine the effects of serial passaging on the differentiation potential and doubling time of AD-MSC. Doubling time of AD-MSC in response to donor age was also examined. Osteogenic and chondrogenic potencies were maintained through 11 passages. Mean doubling time showed a significant increase with passage number (p< 0.0001) and donor age (p= 0.043), using repeated measures analysis with generalized estimating equations (GEE); (SAS version 9.2). There was greater than a three-fold increase in doubling time between P1 and P8 (68.56 hours ± 6.56 (8) vs. 213.61 hours ± 27.22 (6) respectively, (mean +/- s.e.m (n), p = 0.0002). When donor age was evaluated, passages 1-4 from older donors (mean age= 56 years) had significantly longer doubling times (p < 0.0001) when compared to cells from younger donors (mean age= 34 years). Passages 5-11 also showed similar findings when analyzed by donor age (p < 0.0001). In summary, the AD-MSC were able to undergo both osteogenic and chondrogenic differentiation confirming their multilineage differentiation ability. Additionally, our novel findings suggest that caution may be needed when using AD-MSC from older donors and extended passages for future biologic disc therapies. Human adipose derived stem cells (hASC) have shown great potential for bone tissue engineering. However, the molecular mechanisms underlying this potential are not yet known, in particular the effects of 3D culture and mechanical loading on hASC osteogenesis. Mechanical stimuli are known to play a pivotal role in bone formation, remodeling and fracture repair. To further understand hASC osteogenic differentiation and hASC response to mechanical stimuli, gene expression profiles of proliferating or osteogenically induced hASC in 3D collagen I culture in the presence and absence of 10% uniaxial cyclic tensile strain were examined using microarray analysis and quantification of calcium accretion. Human ASC calcium accretion was significantly increased with osteogenic induction media, and further enhanced by addition of 10% uniaxial cyclic tensile strain. The addition of 10% uniaxial cyclic tensile strain indicated that this mechanical stimulus may play a role as an angiogenic inductor by hASC during osteogenesis. Specifically, interleukin 1 receptor antagonist (IL1RN) and suppressor of cytokine signaling 3 (SOCS3) were identified as potential key factors in hASC response to 10% cyclic tensile strain, along with the upregulation of fibroblast growth factor 2 (FGF2), matrix metallopeptidase 2 (MMP2), and vascular endothelial growth factor A (VEGFA). This study is the first to show that hASC may utilize similar pathways as osteoblasts during osteogenic differentiation in 3D collagen culture and respond to cyclic tensile strain by increasing mRNA production of angiogenic factors. Continued Development of the Olfactory Bulbs into Postnatal Periods Requires FoxJ1-dependent Neurogenesis and the Differentiation of the Postnatal Neural Stem Cell Niche. It is thought that establishment of neural stem cell niche in the postnatal subependymal zone (SEZ) of the lateral ventricles regulates postnatal and adult neurogenesis in the olfactory bulbs (OB). However, the precise influence of this differentiation on OB neurogenesis remains unknown. We recently discovered that the forkhead transcription factor FoxJ1 is required for postnatal differentiation of the adult neural stem cell niche in the SEZ. We report here that FoxJ1-dependent differentiation of the stem cell niche in the SEZ is required for perinatal neurogenesis in the OB. Genetic fate mapping provided evidence for a distinct set of FoxJ1(+) progenitors in the primordial SEZ that give rise to a unique population of OB neurons during early postnatal development. Strikingly, this time- and region-specific neurogenesis is massively downregulated during juvenile and adult periods. Our study is the first to provide direct evidence for a time- and region-specific activity of a postnatal progenitor domain that is required for progression of postnatal neurogenesis and differentiation of an embryonic neural stem cell niche into a postnatal and adult niche specified for continued neurogenesis in the OBs. BACKGROUND: The Wnt target gene Lgr5 is a promising stem cell (SC) marker, but its utility is limited by the requirement of special Lgr5-GFP mice and lack of a specific Lgr5 antibody. Previously, our group showed CD24 to be expressed in the SC zone of the murine small intestine, and sortable by FACS. HYPOTHESIS: Given the lack of Paneth cells in the mouse colon, using CD24 to sort colonic epithelial cells provides a more pure population of putative SCs than in the small intestine, and this population contains the majority of Lgr5+ cells. METHODS: Fixed colonic tissue from Lgr5-GFP mice was immunostained with CD24 and Lgr5. FACS of live isolated mouse (WT and Lgr5-GFP mice) colonic epithelial cells was used to quantify the proportion of CD24+, Lgr5+, and CD24+Lgr5+ epithelial cells. RESULTS: CD24- and Lgr5-stained cells co-localized to the colonic crypt base. Flow cytometry with wild-type mice showed our cell preparation to be epithelial (93.1 ± 1.6% EpCAM+; n=6) and void of hematopoietic cells (95.6% CD45-; n=1). 19.3 ± 1.2% (n=10) of these epithelial cells were CD24+. In Lgr5-GFP mice, this CD24+ proportion included 68.9 ± 2.7% (n=2) of the Lgr5+ cells. CONCLUSIONS: Due to the colon being inherently crypt-enriched and free of Paneth cells, CD24+ cells account for a larger proportion of total epithelial SCs than in the small intestine. By exploiting CD24’s proximity to Lgr5, it can be used as a surface marker to isolate a population of colonic epithelial cells highly enriched in Lgr5+ cells. The mechanisms that regulate the function and differentiation of facultative stem cells in the pulmonary alveolus have not been fully defined. The mammalian Target of rapamycin (mTor) is a component of two protein complexes, mTORC1 and mTORC2, which are pivotal in cellular response to growth factors and nutrients. mTor signaling is involved in normal cell function and growth, as well as cancer. We hypothesized that expression of mTORC1 and mTORC2 will be differentially regulated as alveolar type II (AT2) differentiate into AT1 cells in vitro. Inhibition of mTORC1 with rapamycin decreases cell growth but does not affect the differentiation process. In AT2 cells transdifferentiating from day 0 to 10, the phosphorylation states of p70S6K and 4EBP1 (protein biosynthesis regulation) remain high, indicating that mTORC1 signaling does not change. By Western blot, the mTORC1 component Raptor is seen in both AT2 and AT1 cells. However, Rictor (Rapamycin-insensitive companion of mTOR), a member of mTORC2, is more highly expressed in AT2 cells compared to AT1 cells. Analysis of mTORC2 signaling indicates that the mTORC2/Rictor downstream target PKCα is upregulated in AT2 cells whereas Akt is downregulated. IHC analysis of Rictor in human adult lung revealed a significantly stronger signal in AT2 cells than in AT1 cells, corroborating the Western results of isolated AEC. Our data suggest that AT2 cells differ from AT1 cells in activation of mTORC1 and mTORC2 signaling as well as expression and activation of their downstream targets. mTORC1 is active throughout the differentiation process, while mTORC2 is more active in AT2 cells. Supported by NIH grants HL-44497 and HL-95411, and the State of North Carolina. Ramalingam, H., Daughtridge, G.W., Johnston, M.J., Gracz, A.D., Magness, S.T. Debilitating conditions that compromise the intestinal epithelium of the small intestine and colon afflict millions of people. Reconstitution of the epithelium following radiation/chemotherapy, microbe infection, or chronic inflammation requires a pool of multipotent stem cells (IESCs) to restore epithelial barrier function and nutrient/water absorption. Until recently the ability to identify, isolate and study IESCs has not been possible. Moreover, these recent advances in the IESC field have been primarily limited to the small intestine. We have previously demonstrated that distinct levels of the transcription factor, Sox9, mark multipotent small intestine IESCs. Our hypothesis is that distinct levels of Sox9 will also mark colonic IESCs. We have used a Sox9EGFP transgenic mouse to identify, isolate and culture colonic cells that exhibit functional features of IESCs. Sox9 and Sox9EGFP are expressed at higher levels in cells at the very base of the colonic crypts and lower levels are expressed in the transit-amplifying zone towards the lumen. Cells with distinct levels of Sox9EGFP can be FACSed (fluorescence activated cell sorted) and divided into four populations. Gene expression analysis of these four populations demonstrates that cells exhibiting the higher levels of Sox9EGFP are enriched for stemness genes, and genes associated with proliferation, whereas cells expressing lower-levels of Sox9EGFP are enriched for genes associated with post-mitotic cells. Consistent with this observation is that single FACS-isolated cells expressing higher-levels of Sox9EGFP are able to form primitive colonic cryptoids in culture. These results indicate that distinct levels of Sox9 mark colonic IESCs. Neural stem and progenitor cells give rise to neurons throughout the embryonic brain and in restricted regions of the postnatal and adult brain. A balance between proliferation and differentiation is a key determinant of appropriate production of neurons in both embryonic and adult neurogenesis. The balance between proliferation and differentiation is tightly controlled by a complex network of cell cycle regulators, some of which function as molecular switches for progression through the stages of the cell cycle. The dynamics of progression through the cell cycle in turn affect many of the routinely utilized measures of cell cycle integrity such as the ratio of proliferating cells exiting or re-entering the cell cycle, as well as progression within and between distinct stages (G1, S, G2, and M). In this study we discovered that a putative transcription factor, Specificity protein 2 (Sp2) is a key regulator of progression through distinct stages of the cell cycle. Sp2 belongs to a large Sp family of transcription factors, but its molecular function has remained poorly characterized and its biological relevance is unknown. Recent studies have shown that Sp2 is required for early embryonic development in zebrafish (Xie et al, 2010), and that Sp2 cell-autonomously regulates the proliferation of embryonic mouse fibroblasts (Baur et al, 2010). However, how Sp2, a putative transcriptional regulator, regulates proliferation of progenitors remains unknown. We previously reported that theTgfβr2PRX-1KO mouse, in which the TGF-β type II receptor (Tgfβr2) is conditionally inactivated in developing limbs, lacks interphalangeal joints and shows a down-regulation of Noggin and Notch system components (Spagnoli A et al, J Cell Biol, 2007). To provide a sensitive read-out of Tgfβr2 expression pattern within the limbs, a Tgfβr2-β-Gal-Bac mouse was generated. The Tgfβr2-β-Gal-Bac mouse allowed us to determine the ontogeny of the Tgfβr2 expressing cells within developing and postnatal limbs. An intense temporally and spatially defined Tgfβr2-β-Gal expression/activity was noted in the developing interphalangeal joints. Such expression, started at E13.5, was initially limited to cells in the dorsal and ventral regions of the joint developing interzone and then extended (E15.5- E18.5) laterally and proximally in the perichondrium. We also found a distinct Tgfβr2-β-Gal expression/activity in the developing tendons/ligaments which started at E13.5, and gradually decreased from E14.5 to E18.5 when it became restricted to the region surrounding the developing tendons/ligaments. Tgfβr2-β-Gal expression over-lapped with expressions of Noggin, Notch1, Notch2 and Jagged1 in a developmental-stage dependent manner. In postnatal limbs Tgfβr2-β-Gal expression/activity was specifically found within the synovio–entheseal complex following an age-related pattern. Co-expression studies indicate that TgfβR2 expressing cells provide a signaling niche to promote joint development in synchrony with the Noggin and Notch pathways. Prenatal BrdU incorporation studies showed that within the synovio–entheseal niche, most of the Tgfβr2+ cells co-localized with slow-cycling progenitors at the crossroad of the articular cartilage, ligament insertion and capsule along with Jagged1+, Notch1+ and Noggin+ cells. Human embryonic stem cells are pluripotent cells, which were also shown to form the trophectoderm tissue in vitro upon inhibition of the Activin/Nodal pathway. Here, we report the dynamics of trophectoderm differentiation at a finer, sub-cellular level. We carried out sub-cellular fractionation of the nucleus, plasma membrane and cytosol and subjected these fractions to mass spectrometric analysis. This led to deeper proteome coverage. We identified changes in key regulatory proteins associated with the Activin/Nodal pathway, the Wnt pathway and the FGF pathway, as well as changes in epigenetic regulators such as HDACs and Swi/Snf related proteins. We could quantify changes in these proteins through the temporal course of differentiation, while looking at a much finer spatial resolution – that of the sub-cellular fractions, which not only led to a better understanding of the process of differentiation, but also exposed the role of major signaling pathways in regulating this process. Human adipose derived stem cells (hASC) have the capacity to differentiate into multiple musculoskeletal cell lineages in response to different stimuli. The objective of this study was to validate the use of novel 3-D PLA constructs as a viable hASC scaffold supporting chondrogenic differentiation under cyclic hydrostatic pressure (CHP) and to identify CHP mechanosensitive chondrogenic gene markers. Electrospun, laser-ablated PLA scaffolds were seeded with hASC and stacked together using Collagen I to create 3-D constructs. Experimental constructs were loaded under CHP at 7.5 MPa for 4 hours per day for up to 21 days. Control constructs were maintained in complete growth media (CGM) without CHP. Gene expression and proliferation activity was monitored up to 21 days. Proliferation data indicated that mechanically loaded samples exhibited increased proliferative activity relative to non-mechanically loaded samples. Gene expression analysis at day 7 showed an increase in Cartilage Oligomeric Matrix Protein (COMP) in loaded samples versus unloaded samples. However, Sox9, another chondrogenic gene marker, was not upregulated in response to CHP. Ongoing work includes further analysis of other chondrogenic gene markers including aggrecan and collagen II to identify other mechanically activated genes. Loaded and unloaded samples stained with Alcian Blue at day 21, showed only minimal staining, suggesting the need for further stimuli to enhance chondrogenesis. Though histological staining did not emulate typical chondrogenic tissue morphology, as expected given hASC were maintained in CGM alone, COMP upregulation indicates that these cells may initiate chondrogenesis in response to CHP without the addition of chondrogenic growth factors. Acknowledgements: The authors would like to thank Morgan Dent and Dr. Peter Mente, and the NCSU Undergraduate Research Program. There are two areas of active neurogenesis in the adult mammalian brain, subgranular zone of the hippocampal dentate gyrus and subventricular zone (SVZ) of the lateral ventricle. In rodent and human brains, neural progenitor cells (NPCs) originating from the SVZ form a track of cells that extends to the olfactory bulb known as the Rostral Migratory Stream (RMS). We describe a similar population and pathway in normal canine and feline brains. This includes identifying cell phenotype and anatomical route using 5-bromo-2-deoxyuridine (BrdU) labeling and immunohistochemistry. BrdU was administered intravenously to dogs and cats to label dividing cells within the brain. At euthanasia, animals were perfused and brains were removed 6 hours or 1, 5, or 10 days after the final BrdU infusion. Frozen sections were stained with Nissl, hematoxylin and eosin, anti-BrdU antibody, anti-Ki-67 antibody, and anti-Nestin antibody. In canine and feline tissue, BrdU immunoreactive cells were found broadly along the ventral aspect of the anterior horn of the lateral ventricle. Positive cells curved over the caudate nucleus, narrowed, and continued ventrally and rostrally to end in the olfactory peduncle. Anti-Ki-67 antibody, a proliferation marker, labeled nuclei in the same pathway confirming dividing cells in the SVZ and along the RMS. Anti-Nestin antibody, which labels neural progenitor cells, showed a similar staining pattern and defined the neural origin of migrating cells. Our findings confirm the presence of the canine/feline analog of the RMS. Immunohistochemical studies are ongoing to further characterize the phenotype and define the dimensions of the track. A major challenge in the isolation of intestinal stem cells is the generation of viable cell suspensions suitable for FACS. The typical approach is to use EDTA to release epithelial sheets and dispase to dissociate into single cells. Prior experience in our lab showed wide variation from person to person in the viability of the resulting cell suspension. To reduce this, in the current study we investigated use of: 1) mechanization of hand shaking steps; and 2) surfactants to decrease air bubbles that are known to cause cell death. Despite systematic examination of a number of variables related to a mechanized shaker, we were unable to equal the yields and viabilities obtained by hand shaking. Nonetheless, we turned our focus to improving the viability and yield of our preparations through the addition of surfactants. Surfactants have been shown to make it thermodynamically unfavorable for air bubbles to interact with the cells and thus inhibit resultant cell death. Three different surfactants were studied: n-Decyl-b-D-maltopyranoside (DM), n-Octyl-b-D-maltopyranoside (OM), and Pluronic F68 (PF68). Of the three, PF68 was found to be the best. With the addition of PF68 to the solutions during shaking steps, we showed that the viability increased from 71% to 83% directly after isolation and from 67% to 81% after two hours at room temperature, the average time that is necessary for FACS. Understanding adult neurogenesis is important to fully understand the potential for regeneration within the central nervous system (CNS), and to identify neural progenitors that could be used clinically for transplantation. We investigated whether neurospheres could be isolated from the adult canine CNS and whether adipose tissue-derived stromal cells (ADSCs) could be induced to differentiate into neural lineages. Brain tissue was obtained from the dentate gyrus and the subventricular zone, and subcutaneous adipose tissue was collected from cadavers of adult dogs aged from 1 to 6 years. Following enzymatic dissociation, cells were cultured in appropriate media to produce neurospheres (brain tissue) or ADSCs (adipose tissue). Third passage ADSCs were induced to adipogenesis, osteogenesis and neurogenesis by addition of appropriate inductive agents. RT-PCR analyses were performed to identify neural progenitor cell surface markers in the induced ADSCs and neurospheres. Expression of neural lineage markers was evaluated immunofluorochemically. Neurospheres and ADSCs grew rapidly from the brain and adipose tissue respectively. Morphologically the ADSCs had fibroblast-like characteristics and could be induced to produce adipogenic and osteogenic lineages. Under neurogenesis culture conditions, ADSCs formed spherical cellular aggregates that resembled neurospheres. RT-PCR analyses revealed that these aggregates showed a similar phenotype to brain-derived neurospheres with expression of Sox2 and CD90. Neurospheres from both sources expressed Nestin, GFAP and Tuj1. In conclusion, we cultured neurospheres from adult canine brain tissue and generated neural progenitor cells from canine adipose tissue. The ADSCs have the potential for future autologous cell transplantation therapy for neurological disorders. JH Lim DVM, PhD1, SD McCullen MS2, EG Loboa PhD2, NJ Olby VetMB, PhD, DACVIM1. Application of sinusoidal electric fields has been observed to affect cellular processes including alignment, proliferation and differentiation. In the present study, we applied different, well-quantified, low frequency AC electric fields to porcine neural progenitor cells (pNPCs) and investigated the effects on cell patterning, proliferation and differentiation. pNPCs were grown directly on custom fabricated interdigitated electrodes (IDEs) thereby utilizing the best qualities of capacitive coupling (non-invasive, primarily electric field) but localizing the field to a region accessible visually for fluorescence-based assays. Cultures of pNPCs were exposed to electric fields (1V/cm) of 1Hz, 10Hz and 50Hz for 3, 7 and 14 days. Immunocytochemistry was performed to evaluate the expression of neural markers. No significant differences were found in total cell counts between groups. The majority of cells in all groups expressed Nestin at 3 and 7 days, but not at 14 days. NG2 expression was low in all groups. In both the 10 and 50Hz stimulation groups, GFAP expression rate was significantly lower but GFAP and Tuj1 co-expression was higher than the 1Hz and control groups at 14 days. In summary, exposure of pNPCs to electric field via IDEs can potentially control their differentiation potential and be used as a tool for manipulating cell fate. Research into transplantation strategies to treat spinal cord injury (SCI) is frequently performed in rodents but translation of results to clinical patients can be poor and a large mammalian model of severe SCI is needed. The pig has been considered an optimal model species in which to perform preclinical testing and the Yucatan minipig can be cloned successfully utilizing somatic cell nuclear transfer (SCNT). However, induction of paralysis in pigs poses significant welfare and nursing challenges. The present study was conducted to determine whether Yucatan SCNT clones could be used to develop a SCI animal model for cellular transplantation research. First, we demonstrated that transection of the sacrocaudal spinal cord in Yucatan SCNT clones produces profound, quantifiable neurological deficits restricted to the tail. We then established that neurospheres could be isolated from brain tissue of green fluorescence protein (GFP) transfected SCNT clones. Finally, we confirmed survival of transplanted GFP-expressing neural stem cells in the SCI lesion and their differentiation into glial and neuronal lineages for up to four weeks without immunosuppression. We conclude that this model of sacrocaudal SCI in Yucatan SCNT clones represents a powerful research tool to investigate the effect of cellular transplantation on axonal regeneration and functional recovery. We and our collaborators have recently shown that a short EPO-mimetic peptide, Helix-B surface peptide (HBSP), improves survival in a murine model of acute radiation induced hematopoietic stem cell failure. Recently, the cytokine erythropoietin (EPO) has been shown to play an important role in limiting the collateral tissue damage caused by both the inflammatory and oxidative response to injury. Originally viewed as a hormone which stimulates only pro-erythroblasts, EPO is now known to be produced in many tissues, after a temporal delay, to promote healing following injury or infection and to stimulate the production and recruitment of stem cells. We recently identified a heteromeric EPO receptor complex that mediates the protective effects of EPO and is distinct from the homodimeric receptor responsible for the support of erythropoiesis. Additionally, we have developed receptor-selective agents that bind only the tissue-protective EPO receptor complex and have less EPO-related side effects in animal models. Specifically, unlike EPO itself, rhEPO derivatives that bind only to the tissue protective EPO receptor complex do not increase pro-coagulant activity or effect platelet production. HBSP is a small peptide that mimics only the recently discovered tissue protective pharmacology of EPO and does not stimulate hematopoiesis. HBSP’s novel amino acid sequence is modeled on the specific region of the EPO molecule that binds only to EPO’s tissue protective receptor. Preliminary experiments have shown that HBSP improves survival benefit in mice exposed to ionizing radiation 796 cGy whole body exposure. In these screening essays the drug was administered subcutaneously starting 24 hours after radiation exposure and was given daily for 29 days for and 20 days respectively. Additionally, we have shown that a single dose of HBSP inhibits systemic TNF production in mice exposed to radiation. These remarkable results show that HBSP can turn off the inflammatory process following radiation. Based on the facts that (1) CD34+ human stem cells express the TPR. (2) EPO improves the mobilization and proliferation of CD34+ stem cells induced by G-CSF in humans and mice and (3) EPO and derivatives of EPO enhance the proliferation of neuronal stem cells and endothelial stem cells, we hypothesize that HBSP directly inhibits apoptosis of hematopoietic stem cells and we are studying this in an ongoing project in the lab. Transcription factors regulate gene expression and de-regulation of their activities is associated with many human diseases. Sp proteins are evolutionarily conserved transcription factors required for the expression of a wide variety of genes that are critical for development and cell cycle progression. Sp2 is one of several poorly-characterized members of this transcription factor family. Previous data from our lab and others has indicated that Sp2 is over-expressed in human prostate cancers and in murine squamous cell carcinomas. We created a novel mouse model in which Sp2 is over-expressed in cells of the epidermal basal layer via by the bovine keratin 5 promoter. Sp2 over-expression in transgenic hemizygotes induces alopecia, marked susceptibility to wound- and carcinogen- induced neoplasia, and delayed wound healing. Levels of Sp2 expression encountered in homozygotes results in postnatal lethality and a striking depletion of terminally differentiated keratinocytes. Immunohistochemical staining revealed that an expanded population of keratin 5 and keratin 14-positive progenitor cells inundate all epidermal cell layers of homozygous animals. Expression of markers of differentiated basal keratinocytes (e.g., keratin 10, loricrin) is decreased in homozygous animals. The expression level of keratin 6, a marker of epidermal wounding, inflammation, and/or tumorigenesis is increased in transgenic animals beginning at post-natal day 4 as is the expression and distribution of CD34, a hair follicle stem cell marker. These results indicate that Sp2 over-expression in this epidermal compartment inhibits keratinocyte differentiation. To explore this model system further another transgenic mouse line was created that lacks a functional Sp2 DNA-binding domain. This transgenic strain exhibits many of the hallmarks of transgenic strains that express full-length Sp2 protein, including delayed wound healing. Taken together, we conclude that Sp2 regulates wound healing by controlling epidermal stem cell differentiation via a mechanism that does not require direct interactions with DNA. Future experiments are designed to identify the precise mechanism by which Sp2 regulates stem cell differentiation and to identify Sp2-binding partners that participate in the process of wound healing. The Tgfbr2PRX-1KO mouse, which lacks Tgfbr2 in developing limbs, fails joint interzone development. Combining laser-capture microscopy with microarrays, we found that in WT interzone, but not in Tbr2PRX-1KO, there is a down-regulation of the cytokine MCP-5 compared to the growth plate. Aberrant expressions of MCP-1 and its unique receptor CCR2 are involved in arthritis. Our ex-vivo and in vivo studies are aimed at determining whether: #1) aberrant release of MCP-5 into developing digits disrupts the interzone; #2) blockage of MCP-5 signaling rescues the Tbr2PRX-1KO phenotype. For purpose #1, using a micro-injector unit and glycol-chitosan--cholanic-nanoparticles for sustained protein release, either MCP-5 protein or MC-21 antibody (against CCR2) were injected within the developing joints of dissected E13.5 WT or Tbr2PRX-1KO limbs respectively, that were cultured for 2 days. For purpose #2, pregnant females potentially generating Tbr2PRX-1KO, were treated P0 with RS504393, a CCR2 inhibitor, starting at E11.5 until. Dissected limbs from Tbr2PRX-1KO and control embryos were subjected to histological and in-situ-hybridization analyses. Using an immunomagnetic system, TGFβRII+ cells were isolated from E13.5 limb mesenchyme and treated with increasing doses of MCP-5. Release of MCP-5 into developing WT joints blocked interzone development, abolished joint marker (i.e. Gdf5) expressions and halted growth plate segmentation, leading to a continuous pattern of Col2 expressing cells throughout the digit. In-vitro, MCP-5 treatment of TGFβRII+ cells, decreased joint marker (Gdf-5, Wnt9a and Sulf1) and increased Col2 expression. Blockage of the CCR2 signaling in Tbr2PRX-1KO either ex-vivo or in-vivo, led to a rescue of the Tbr2PRX-1KO phenotype restoring interzone and joint formation. In Tbr2PRX-1KO growth plate, CCR2 signaling blockage determined also a more organized pattern in Ihh, Sox9 and Col10 expressions. Our findings provide evidence for new roles for CCL-12 and TGFβRII signaling in joint development, opening novel prospective for the prevention and treatment of arthritis. Pluripotent stem cells can give rise to derivatives of all three germ layers and thus have great potential for clinical applications. In mice and humans, it has been shown that embryonic and adult fibroblasts can be reprogrammed by introducing four transcription factors, Oct3/4, Sox2, Klf4 and c-Myc. The oncogenic transcription factor, c-Myc, however, hinders clinical application of iPS cells. Here we report the derivation of putative iPS cells from adult canine fibroblast without using c-Myc. The retroviruses containing three transcription factors (hOct3/4, hKlf4, hSox2) were transduced into lung fibroblasts isolated from a 3-year old dog. The transduced cells were cultured for 21 days until ES-like colonies were picked and expanded. Canine putative iPS cells isolated from adult lung fibroblast were very similar to dog ES cells in morphology and alkaline phosphatase (AP) expression. Both RT-PCR and immunocytochemistry (ICC) showed that the isolated cells express the pluripotency markers. However, the viral transcription factors transduced in the iPS cells were not completely silenced. Spontaneous differentiation by withdrawal of LIF led to formation of embryoid bodies (EB) composed of cells representative of all three germ layers as confirmed by ICC. Similar results were seen by directed In vitro differentiation. To summarize, we were able to derive partially-reprogrammed pluripotent cells from cultured adult somatic cells by using three transcription factors. The isolated putative iPS cells have similar characteristics to dog ES cells. Availability of stable canine iPS cells would have significant implications for regenerative medicine in both veterinary and human clinical applications. Healing failure occurs in 10-20% of the bone fractures. Limitations in mesenchymal stem cell (MSC) number and growth factors play critical roles. Our goal is to determine if the effects of transplanted MSC on the fracture healing process can be improved by expressing IGF-I. MSC isolated from BM were engineered to constitutively express human IGF-I. A stabilized tibia fracture model was established in 8-10 week old mice by a three point bending device. Mice were then transplanted with 106 MSC by IV tail injection. Dissected fractured tibias were analyzed at 14 days post-fracture by micro-computed tomography analysis (CT), distraction biomechanical testing and histological and in situ hybridization studies. MSCIGF transplanted mice showed a significant improvement of the biomechanical properties of the callus with an increase in ultimate force that correlates with an increase in the content of new bone as determined by CT analysis. Histology and in situ studies demonstrated accelerated ossification of the callus from MSCIGF mice when compared to MSC. In addition, we tracked the transplanted cells and founded that the expression of IGF by MSC increased the number of cells integrated into the bone as osteoblast and osteocytes. Finally, the autocrine properties of MSCIGF were sufficient to rescue a nonunion fracture model (Irs1 knockout) when MSC alone fail. In summary, IGF-I improves fracture repair by increasing the production of bone. This effect is mediated by IGF autocrine effect inducing the differentiation of MSC into osteoblast and osteocytes. commitment. Serial siRNA transfections sustained primary cilia protein knockdown up to 14 days. Qualitative and quantitative analysis of calcium accretion after 14 days of hASC culture in osteogenic differentiation media with siRNA PC1 and PC2 knockdown resulted in significant reduction in calcium accretion as compared to non-targeting siRNA control. Further, reduction in mRNA expression of osteogenic gene markers Runx2 and alkaline phosphatase was observed with cilia protein knockdown. Ongoing work investigates the dynamic mediation role of primary cilia and attempts to elucidate the underlying mechanism of chemical and mechanically enhanced hASC osteogenic differentiation. NIH/NIBIB R03EB008790-01 (EGL), NIH/NCRR 10KR51023 (EGL). Recent technological advances resulting in the development of a novel in vitro assay for ‘stemness’ have allowed for the functional characterization of putative intestinal epithelial stem cell (IESC) markers through the isolation of labeled single cells from whole epithelium. However, the current assay does not allow for true clonogenic analysis and expansion of isolated IESCs, and is susceptible to interference with IESC behavior by contaminating cell types. Additionally, limitations in the current assay make IESC-derived cryptoid structures difficult to process for downstream analysis. The development of micro-fabricated cell culture arrays provides the next technological step toward a clonogenic assay for IESCs and other non-adherent somatic stem cells. We have shown that single Sox9low-expressing IESCs can be plated in cell culture microarrays and develop into cryptoids, exhibiting the same behavior as IESCs in the conventional assay. Furthermore, single IESCs can be separated into distinct microwells, facilitating day-to-day observation and clonogenic development. Culture conditions can be adapted to a specialized cell culture microarray that allows for the retrieval of single IESCs or developed cryptoids for downstream biochemical analysis and serial passaging. The ability to apply microarray technology to the in vitro study of IESCs overcomes a major technical hurdle by facilitating clonogenesis and laying the foundation for high-throughput screening of potential IESC mitogens and morphogens. Development of a transgenic pig ubiquitously expressing B-Galactosidase (LacZ) using amniotic fluid mesenchymal stem cells (AFS) as nuclear donors. LacZ provides an accurate and sensitive method for cell lineage tracking. Towards this end, we created a porcine cell line carrying the lacZ gene driven by the β-actin promoter coupled with enhancer elements from the cytomegalovirus promoter and rabbit β-globin gene (pCAG) and used it for somatic cell nuclear transfer (SCNT). Fetuses were collected at day 42 of gestation, amniotic fluid-derived mesenchymal stem (AFS) cells were isolated from each fetus, and assessed for x-gal staining. LacZ-positive AFS cells were used for a second round of SCNT generating six piglets, four of which survived to adulthood. To analyze the effectiveness of the transgene, we performed a FACS-Gal assay on fresh peripheral blood. Expression levels, defined as the percent of cell expressing lacZ, ranged from 38% to 98%. The boar showing 85% of transgenic expression was euthanized and samples were collected, fixed, and stained with x-gal for up to 48 hours at 32°C. Expression of the transgene was apparent in all tissues. Additionally we tested the usefulness of the lines as an in vivo tracker by injecting lacZ-positive bone marrow stem cells into developing pig fetuses. At 2 months of age blood from injected fetuses was collected and lacZ-positive cells detected indicating the transgenic cells had been able to engraft in the bone marrow and generate lacZ-positive hematopoietic cells. Supported by NIH HL051587 to JAP and by a postdoctoral fellowship to IC from the SENECA Foundation (06864/PD/07).